Aspire Early Intervention can now enjoy peace of mind knowing that their service delivery is optimised through the utilisation of Bridge Care. 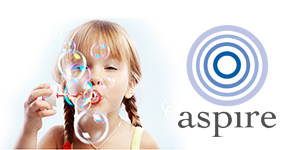 Care provider Aspire Early Intervention provide highly individualised programs for children with special needs, and pride themselves on their ability to focus on the care and treatment they provide without needing to spend an unnecessary amount of time on administrative tasks and funding package management. 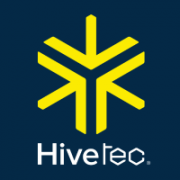 The announcement came earlier this week that they will be partnering with Hivetec Australia to deliver improved services to their clients through the use of Bridge Care. The ability to complete online assessments and deliver dynamic care plans to their clients is key to helping them deliver the best possible therapies. Dianne Verstappen, owner and clinical director of Aspire Early Intervention commented ‘’Bridge Care’s scheduling strength, and clock on/clock off with GPS for technician in the field is what won us over. It is also the simplicity of the application’’. This enables Aspire staff to work effectively without the distraction of complicated technologies. The partnership will enable Hivetec Australia to continue to develop Bridge Care in the ways most appropriate for these types of essential service providers. The feedback that will be acquired from the workers at the NDIS and HaCWA accredited organisation will be put back into further expansion of the solution. 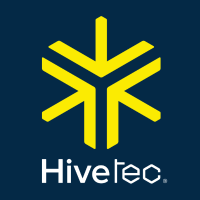 Hivetec have been building enterprise software solutions that support Australian Government programmes since 2008. In more recent times they have developed Bridge Care, a solution developed specifically to benefit care providers post reforms. Hivetec have created solutions that at a feature level compete globally, but at a solution level solve local Australian service provider challenges including NDIS and consumer directed care. Aspire delivers high quality intervention services for children diagnosed with Autism Spectrum Disorder (ASD), related disorders, and children experiencing difficulty with specific developmental delays. They believe in providing comprehensive intervention services that suit the individual child and their family as a whole. Their programs are guided by evidence-based contemporary Applied Behaviour Analysis techniques.